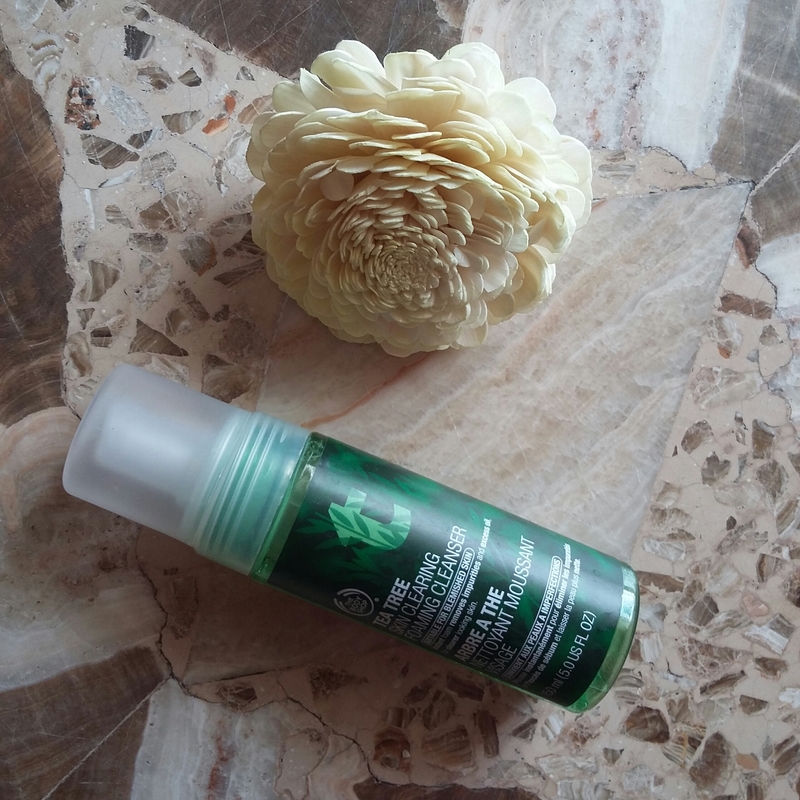 Today I will be reviewing the Body shop’s Tea Tree facial wash.
What’s my Response to that? It does remove excess oil and it is not drying (this comes from someone who has a sensitive skin). I cannot say if it makes my skin look healthier or not because I have good skin anyways. After you shake the bottle for a bit and press the little pump, the product comes out in a foam form which is very light. It’s not a greasy foam. It feels more like bubbles than anything else. It smells like an antibacterial cleanser, like you are at the dentist’s. When you wash your face with it, you do feel woken up and clean. I often use this when I have had a rough night and water is not enough to wake me up! It also makes your skin feel cleaner and breathing!If yur skin feels a bit oily, this reduces that feeling. I have sensitive/combination skin with a tendency to dry. This is not an exfoliating product, so I do use it quite often. It does deter zits and spots, but I wouldn’t say it is a pharmaceutical product that treats acne or anything like that. I am on my second bottle (it is long-lasting), so, yes. *If you are in the mood for shopping get it from Amazon by clicking here. So, that’s all for now. Happy facial cleansing lovelies. *This is an Amazon affiliate link. Purchasing by clicking does not mean that you pay extra, it just means that I make a small comission from your purchase. I like your honesty about the product. Especially with the scent.